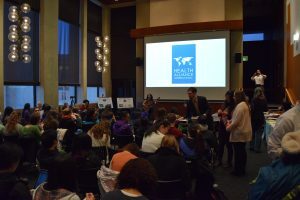 Seattle, WA – Health Alliance International, Doctors for Global Health, UW Department of Global Health, and the People’s Health Movement held a launch event for the release of Global Health Watch 4, the definitive voice for an alternative discourse on health. With the world still battling the Ebola outbreak, the evidence of a clear link between the inability of affected countries to deal with the crisis and the collapse of public health systems is becoming stronger. Extreme poverty in the affected region, engendered by neo-liberal policies, further created the conditions for the rapid spread of the epidemic. 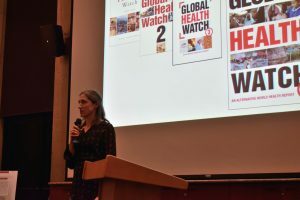 This is the context that informs the contents of the People’s Health Movement 2014 Global Health Watch (GHW) report that covers diverse issues related to health systems and the range of social, economic, political and environmental determinants of health. A coalition of local and international organizations is sponsoring the launch of GHW4 event. 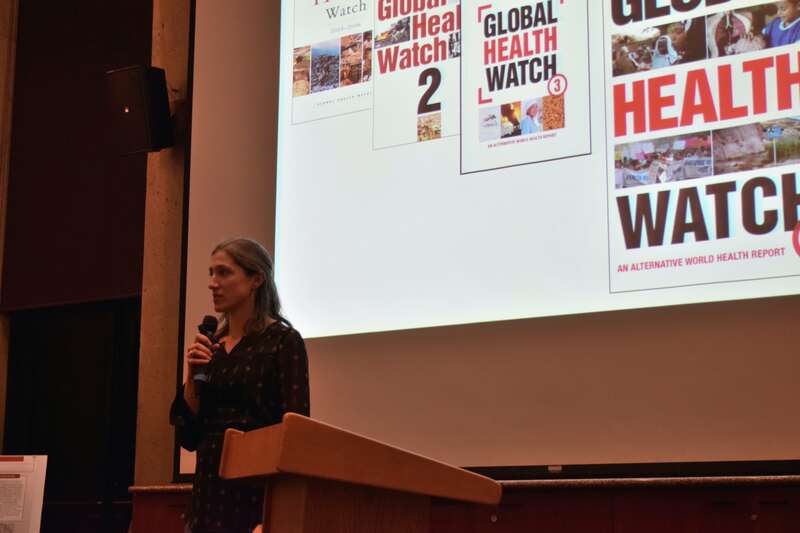 Julia Robinson, Advocacy Lead for Health Alliance International, stated recently, “The GHW4, which is produced by our partners at the People’s Health Movement, gives us an opportunity to come together as a community and discuss issues that don’t get a lot of time in the media. The current outbreak of Ebola and other infectious diseases means that the issue of ensuring health for all is more urgent than ever.” It is an essential book that introduces thorough analysis on social and political challenges—Africa, Latin America, and many places around the world. The program included a reception, tabling with local social justice and student organizations, a program featuring PHM, HAI, student and community speakers, and a musical performance from a local singer/songwriter whose work includes songs of social justice. This event was sponsored by Health Alliance International, Doctors for Global Health, and the UW Department of Global Health. It is endorsed by the People’s Health Movement, Washington Fair Trade Coalition, Community Alliance for Global Justice, Oxfam America, Somali Health Board, Partners in Health Engage, the Global Health Undergraduate Leadership Committee, and RESULTS.